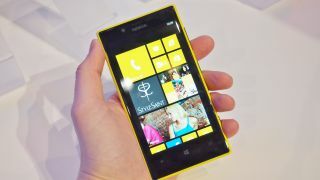 Windows Phone: Will 130,000 apps be enough to spark Nokia revival? Ask an Android or iPhone loyalist why they aren't considering a switch to Windows Phone 8 and they'll probably reference the inferior app catalogue. Well, if those same skeptics were to ask Nokia CEO Stephen Elop, he'd tell them that users of Microsoft's new operating system now have 130,000 applications at their fingertips. That's exactly what Elop did during Nokia's MWC 2013 keynote in Barcelona, where the Finnish company unveiled the affordable, mid-range Lumia 720 and Lumia 520 Windows Phone 8 devices. Speaking on Microsoft's behalf Elop said: "Today we are proud to announce that we have achieved the level of 130,000 Windows Phone applications. That's 130,000 applications tailor made for the Windows Phone experience." Of course, the figure still pales in comparison to iOS and Android - which are both hovering around the 750,000 mark - but it does represent solid progress for Microsoft in its attempts to attract the developer community. Despite referencing the numbers, Elop still believes that it's more about the quality of the applications that have arrived as well as those Microsoft and Nokia are working to bring to the WP platform. "Together with Microsoft we are bring unique experiences from some of the world's top brands to our phones. It is more than just about the volume of applications, we are also focussed on the quality of the application experience," Elop said. "We are opening up our core technologies and APIs in areas like imaging and location-based service to the developers. We believe that access to these capabilities will inspire never before seen applications that will be unique to Nokia." Nokia is hoping to crack the lower end of the market - an area where it has enjoyed the majority of its success - with its new Lumia 720 and Lumia 520 handsets, and open up Windows Phone 8 to a new group of consumers. Hopefully for both companies, an end to the app stigma will do the trick.